With so many digital book/library apps out there that are designed for adults, it's about time for children to have one of their own! 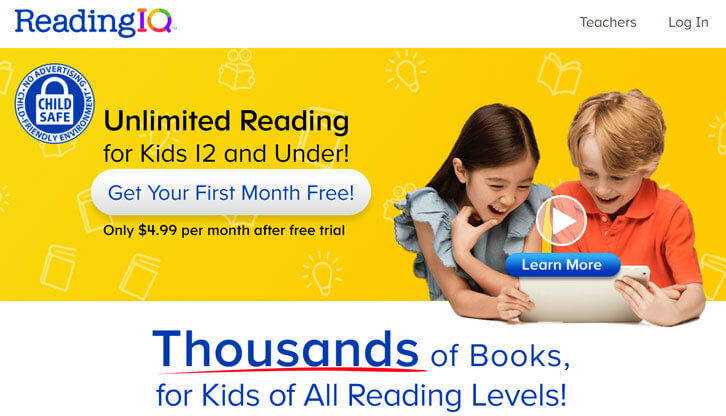 ReadingIQ is a digital library app that houses thousands of books of any genre, whether it is a popular and beloved classic or a brand-new title written by Newbery Medal winners. However, it is unique in the sense that it helps you analyze your child's reading progress and recommend books that are suitable to his/her reading level, giving them the gentle encouragement they might need to improve their reading skills. Perhaps your child may eventually fall in love with reading too! If you're interested to give the app a try, you can get a 1-month free trial simply by signing up.